If you are looking for elegance and beauty, you have found it! 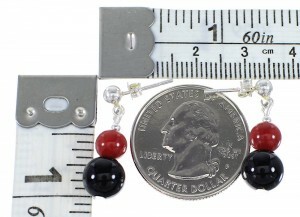 This piece of Native American jewelry is Navajo hand crafted out of genuine sterling silver, along with real Coral and Onyx beads. 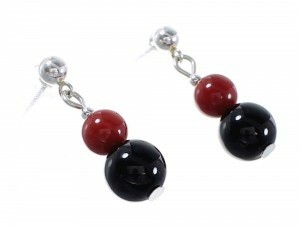 The earrings consist of: 2-mm silver round beads, 6-mm Coral round beads, and 8-mm Onyx round beads.